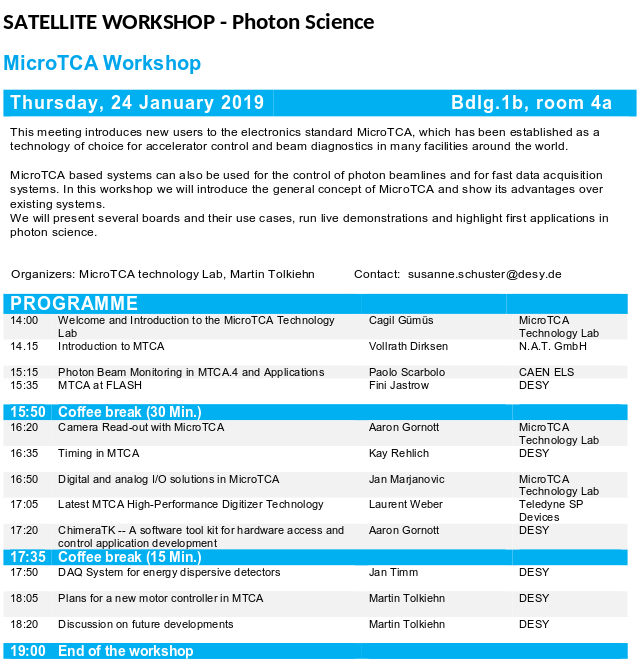 CAEN ELS and the MicroTCA Technology Lab would like to invite you to the MTCA Satellite Meeting organized during the Photon Science Users’ Meeting on January 24th 2019 at DESY. 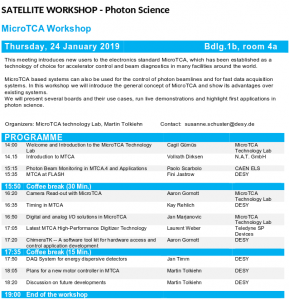 This meeting introduces new users to the electronics standard MicroTCA, which has been established as a technology of choice for accelerator control and beam diagnostics in many facilities around the world. MicroTCA based systems can also be used for the control of photon beamlines and for fast data acquisition systems.  In this workshop we will introduce general concept of MicroTCA and show its advantages over existing systems. 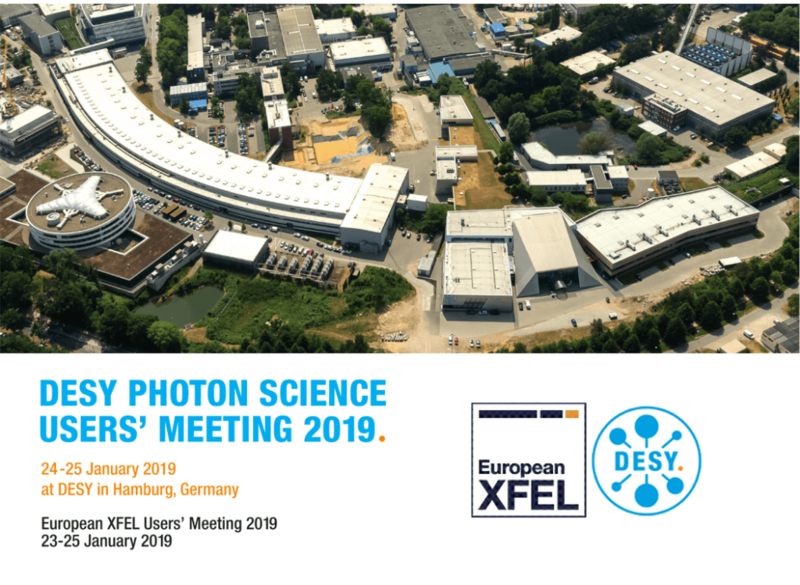 We will present several boards and their use cases, run live demonstrations and highlight first applications in photon science. Further information and the agenda of the event can be found at https://indico.desy.de/indico/event/21832/page/1.